During office hours, immediate attention will be given to your situation, and your child will be seen as soon as possible. After office hours, please give the office a call and follow the instructions provided. Your call will be returned as soon as possible. If your child is experiencing a serious or life threatening emergency, please call 911 or visit the nearest emergency room. Gently clean the area around the tooth, rinsing the mouth with warm water and gently flossing to remove any particles that may be lodged in the tissue around the tooth. If you child is still experiencing pain, please call our office to schedule an appointment. Do not place aspirin on the aching tooth. If the area around the affected tooth is warm, apply a cold compress and call our office immediately. Apply ice to help reduce swelling and apply pressure with a clean cloth or sterile gauze to stop any bleeding. If the bleeding will not stop, call your physician or visit your local emergency room. Please call the office to schedule an appointment. If your child loses a permanent tooth, please call the office immediately. It is crucial to replace the tooth as quickly as possible. Handling the tooth by the crown, gently rinse the tooth, avoiding touching the root if at all possible. 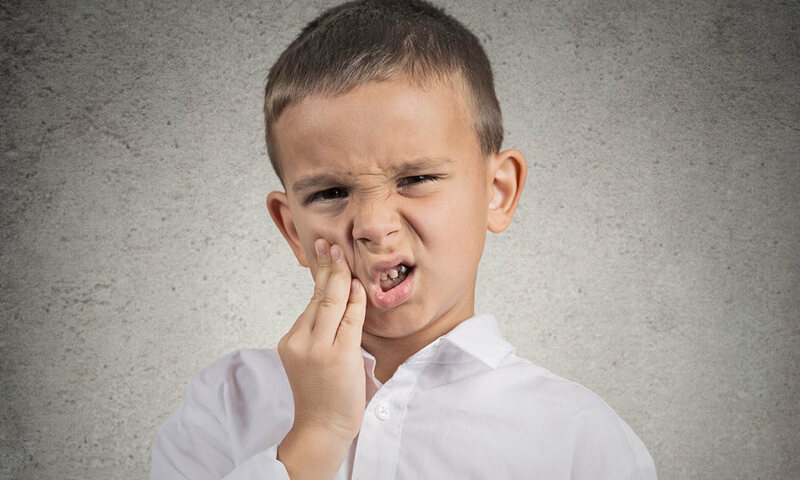 If you can place the tooth back in it’s socket, have your child bite down on gauze to keep it in place until you get to the office. If you can not place the tooth, put the tooth in a small container of milk or saliva until we can try to re-attach the tooth. Gently rinse the area with lukewarm water and have your child place a cold compress on their face to reduce swelling. If you can locate the piece of broken tooth, place the piece in milk, and bring it with you to the office. If more than half of the tooth is broken off, please call us immediately.